These FREE Printable Gift Card Holders are perfect for Teacher Appreciation! Show your teachers how much you appreciate them by giving them gift cards for their favorite stores: Target, Starbucks, Bath&Body, or Amazon! 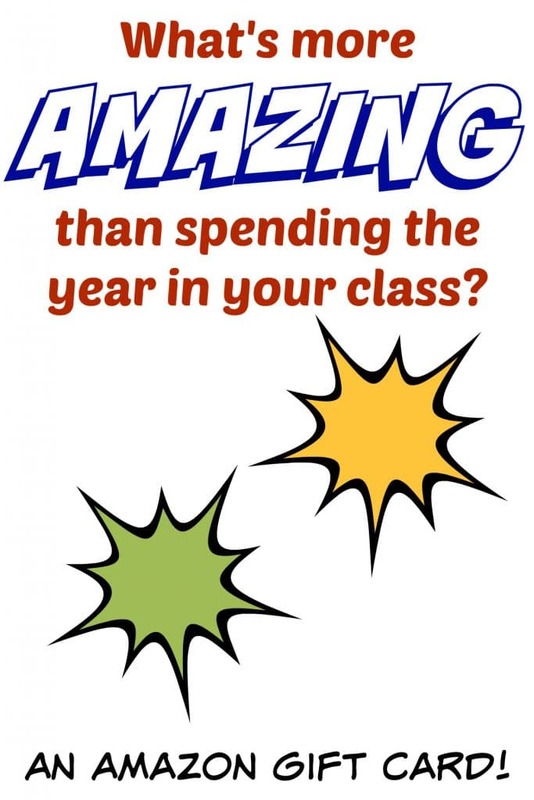 These FREE Printables are easy to use and your teachers will love them. Don’t forget: Teacher Appreciation Week is the first full week of May each year! If you’re looking for something to get your teachers, these free printable gift card holders are perfect! Let’s face it: teachers like homemade treats and mugs, but they LOVE gift cards. Who doesn’t? Remember, they have 30 students (or 150 if they teach upper grades)…how many mugs do they need? They certainly can’t eat that much popcorn. Gift cards are the perfect gift for any time, but especially during teacher appreciation or at the end of the year to say thank you. Unless you know your teacher well, you probably don’t know what restaurants or specific stores they like, so going generic with gift cards is easy and will always be appreciated. Give these gift card printables by yourself or join in with the class to give your teacher a gift that will give big! When I think about places I’d love to get gift cards, I always think of the big 4 stores: Starbucks, Amazon, Target, and Bath & Body Works. All of them are pretty adaptable to anyone’s likes, don’t you think? Plus, if you’re trying to give the teachers a gift to help in the classroom, Amazon and Target are perfect. They can buy things they love but they can also replenish their markers and paper and other things that they usually buy themselves. Your teachers will love these FREE Printable Gift Card Holders any time of the year, but especially during Teacher Appreciation week! Free Printable Gift Card Holders for teacher appreciation make giving gift cards fun and easy and personal! 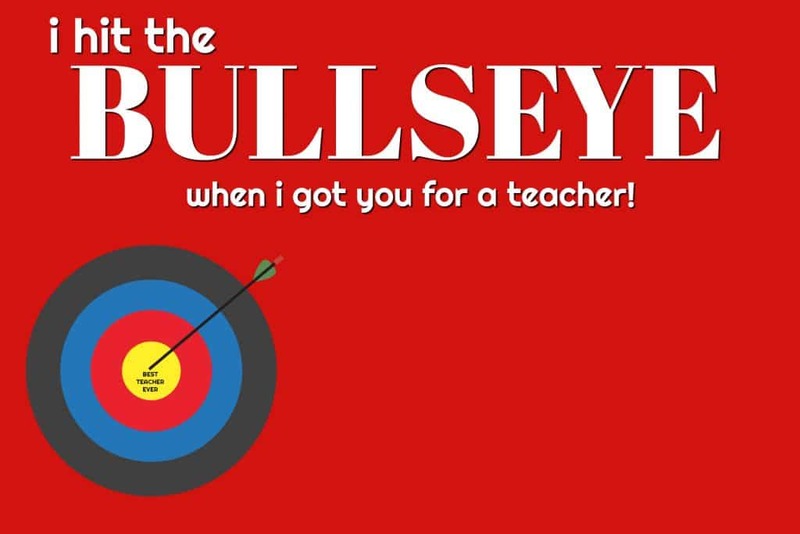 Target is a great place to buy gift cards for any teacher. They can buy things they really love or things that they need for the classroom. This is a great way to say thank you for a year of fun! Even if your teacher doesn’t drink coffee, I guarantee they can find something they love to eat or drink at Starbucks. 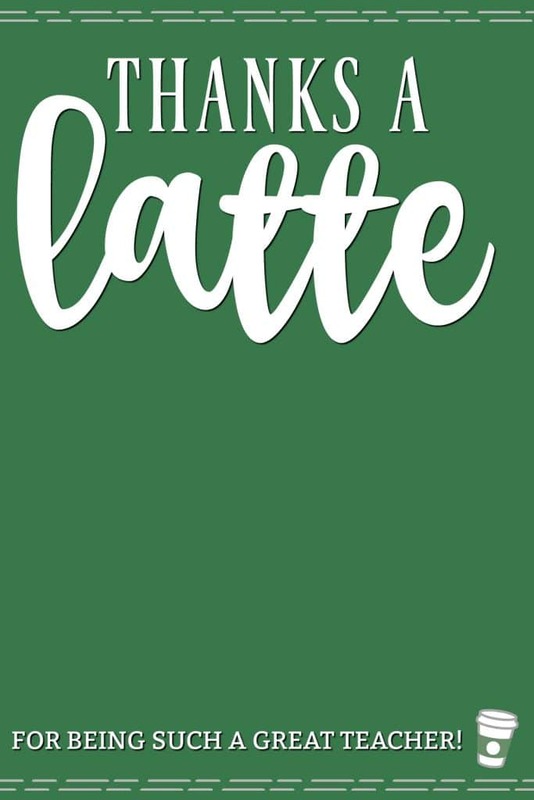 These are especially great if you have to buy a lot of gift cards for multiple teachers or staff because you don’t have to spend a ton of money to get something good at Starbucks! Even $5 buys a good drink that will keep the teacher going through the end of the year. If your teacher loves lotions and bath and body, why not give her (or him) a Bath & Body Works (or other similar store) gift card? These cards are especially good because they can use them to buy things for people they love, even if they don’t love lotions and candles. Amazon is always a favorite. Chances are, your teacher already shops on amazon and probably has a prime membership! You can buy anything on amazon, from school supplies to purses; it’s the perfect all-purpose gift card for a teacher, either from one student or from the class. 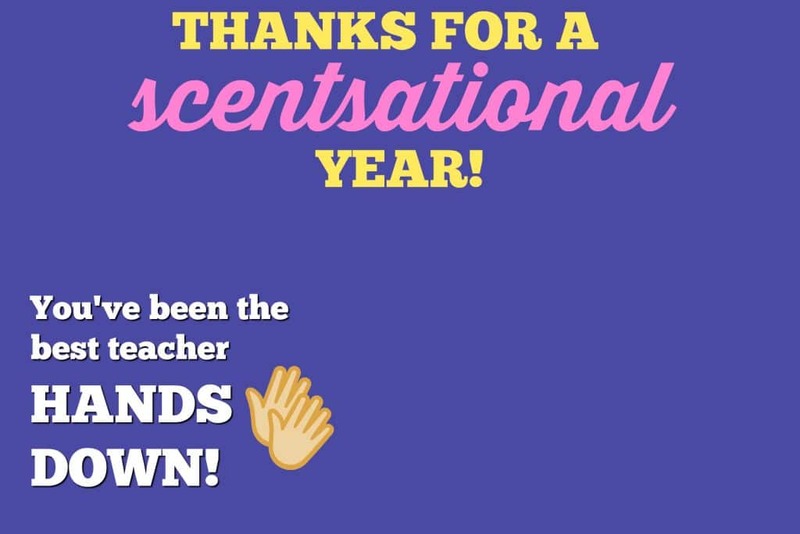 Don’t forget to celebrate your teachers all year long, but especially at the beginning and end of the school year. Gift cards are the best way to show your thanks to a teacher, so why not dress up a gift card with a FREE printable gift card holder for their favorite store? Write a heartfelt note on the back and your teacher will treasure it.